New vehicle pricing includes all offers and incentives. Tax, Title and Tags not included in vehicle prices shown and must be paid by the purchaser. While great effort is made to ensure the accuracy of the information on this site, errors do occur so please verify information with a customer service rep. 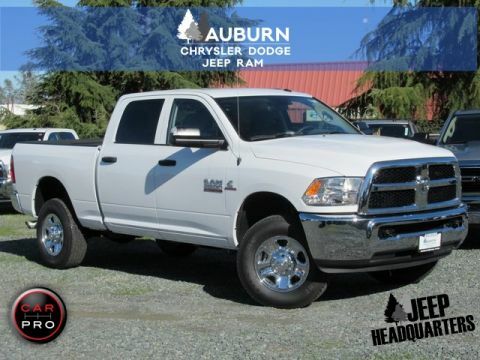 This is easily done by calling us at (530) 885-2900 or by visiting us at the dealership. 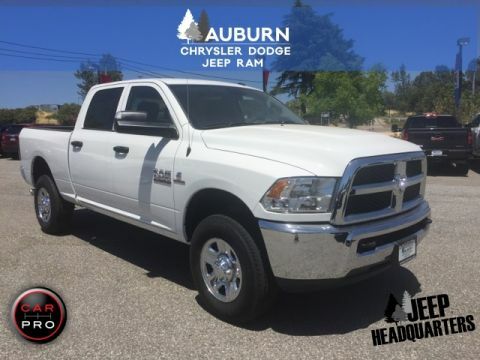 ***Plus government fees and taxes, any finance charges, any dealer document processing charge ($80), any electronic filing charge, and any emission testing charge. 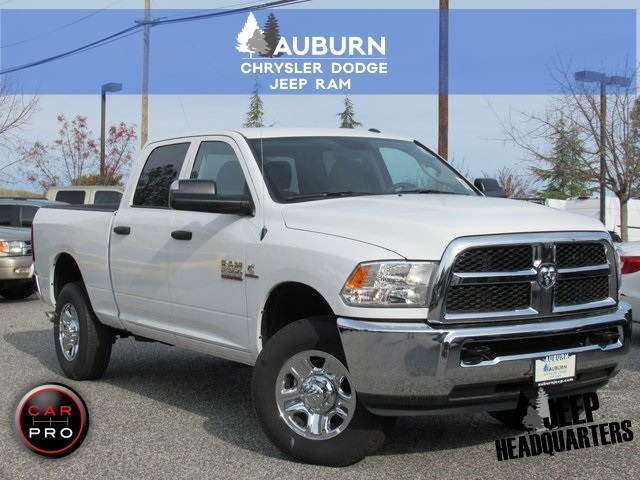 Bright White Clearcoat 2018 Ram 2500 Tradesman 4WD 6-Speed Automatic Cummins 6.7L I6 Turbodiesel 1-Yr SiriusXM Radio Service, 5.0" Touchscreen Display, 5th Wheel/Gooseneck Towing Prep Group, Bright Front Bumper, Bright Grille, Bright Rear Bumper, Carpet Floor Covering, Charge Only Remote USB Port, Chrome Appearance Group, Front & Rear Floor Mats, GPS Antenna Input, Integrated Voice Command w/Bluetooth, Media Hub (USB, AUX), Overhead Console, Popular Equipment Group, Protection Group, Radio: Uconnect 3 w/5" Display, Rear View Day/Night Mirror, Remote Keyless Entry, SiriusXM Satellite Radio, Temperature & Compass Gauge, Trailer Brake Control, Wheels: 18" x 8.0" Steel Chrome Clad. 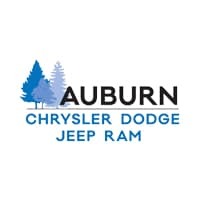 Learn More About Auburn Chrysler Dodge Jeep Ram. Proudly Serving Drivers Like You, from Auburn CA to Roseville CA, Folsom CA, Rocklin CA and Citrus Heights CA, And Everywhere in Between. If you’re in the market for a new or used car, you’ve come to the right place. 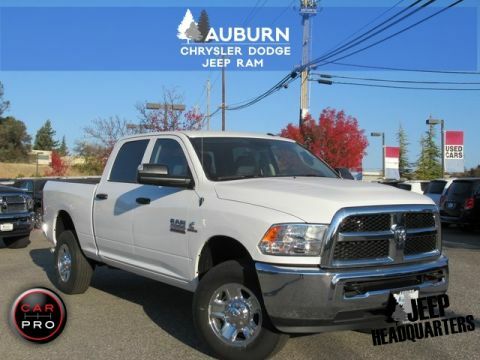 The staff at Auburn Chrysler Dodge Jeep Ram is committed to helping you find the right vehicle for your needs. What’s more, they’re also dedicated to helping you maintain it long after you drive it home for the first time.